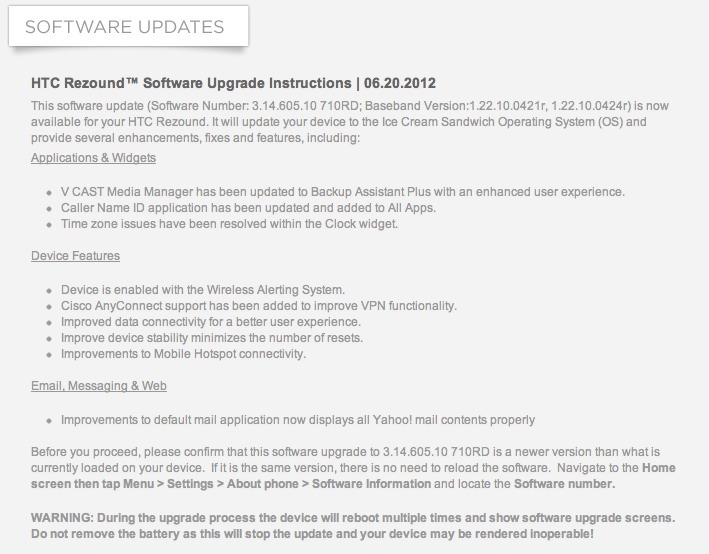 According to HTC, the Ice Cream Sandwich update for the Rezound is available today. Verizon hasn’t mentioned it yet and no reader of ours has reportedly received it, so we are as confused as you probably are. For what it’s worth, their support page has all of the dirty details on it which we have pasted for you below. 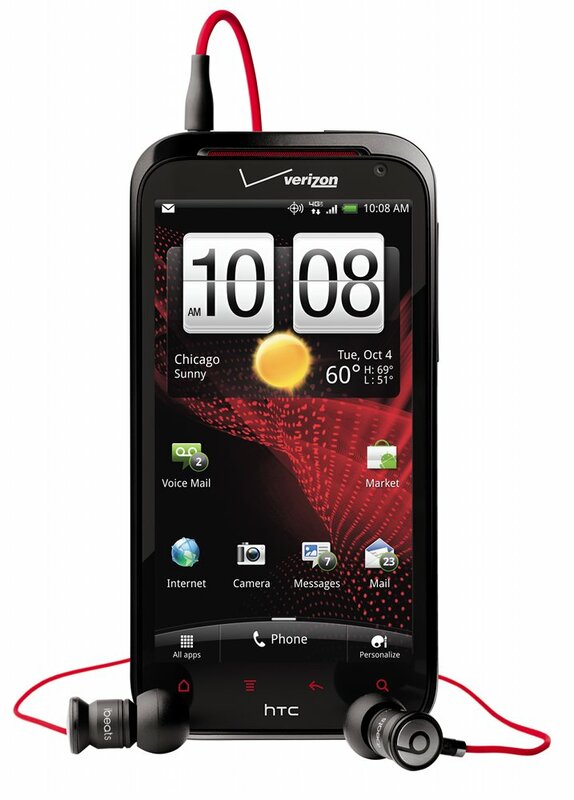 For those that have been following along in the ICS-Rezound saga, the build referenced is the same one that leaked last week. V CAST Media Manager has been updated to Backup Assistant Plus with an enhanced user experience. Caller Name ID application has been updated and added to All Apps. Time zone issues have been resolved within the Clock widget. Cisco AnyConnect support has been added to improve VPN functionality. Improved data connectivity for a better user experience. Improve device stability minimizes the number of resets. In order to receive this update, you will need to be on build 2.01.605.11. The entire process will take approximately 70 minutes. Update: HTC jumped the gun and has reverted the support page back to showing the previous update. Who knows when we’ll see it now. For them to publish all of this info though, we have to think that it must be close to receiving that final approval. We’ll be on the lookout for more info, like a rollout date.